I receive many positive emails through this blog because, for the most part, people in the world are great. The negative ones stand out, though, and occasionally eat at me. It’s an idiotic question. There’s always value in studying the past, it’s what informs our future. I had to ask myself, though, what’s behind this email? Why would someone take the time to reach out to a stranger and ask this? My instinct is that they meant to be combative. But maybe, just maybe, their question was serious and they really wanted to know. I’ve thought about their comments off and on for two weeks now. This is me contemplating that negative email. Actually, this is Love’s Shadow by Frederick Sandys. She feels me, though. If I look beyond the rude way they chose to express it, I can understand their initial hesitance. After all, a Victorian woman’s circumstance is far removed from our own. My life is nothing like any female depicted on a Pre-Raphaelite canvas. Yet I feel we owe it to them and to ourselves to explore their stories. If they were an artist I want to study their work. If they were a model I want to look at the work they appear in with an understanding of the contemporary context. I want to ponder the inherent meaning of the piece, what they may have felt about it, and possible reinterpretations. I look at these images and think, what did the artist intend? Is there a broader implication? What do we feel about the painting now? What was going on in their life when they painted it? Did they intend a social meaning or does it reflect a personal experience? There are a wealth of questions behind of every one of my blog posts. I thrive on the fact that the more I learn, the more questions there will always be. I think. I read. I pursue. Yet I get the feeling that is not what my emailer wants me to do. Their dismissive language implies that they feel my endeavors are a waste of time. For whatever reason, my interest does not mesh with their idea of what I should be doing. I will always do it, though. For the painters and models, none. They are long dead and gone. For us, however? There is great potential. 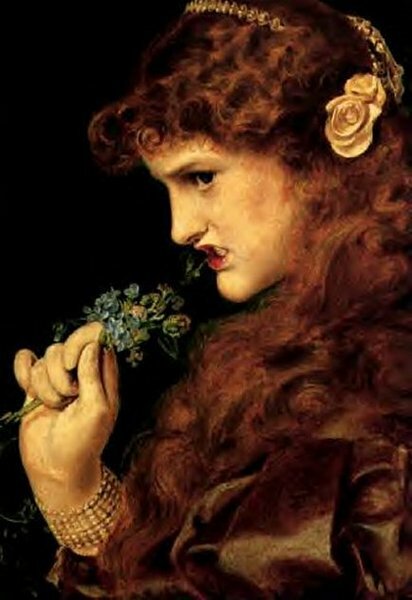 I have always found images of Pre-Raphaelite women inspiring. This may not be a particularly popular thing to say. 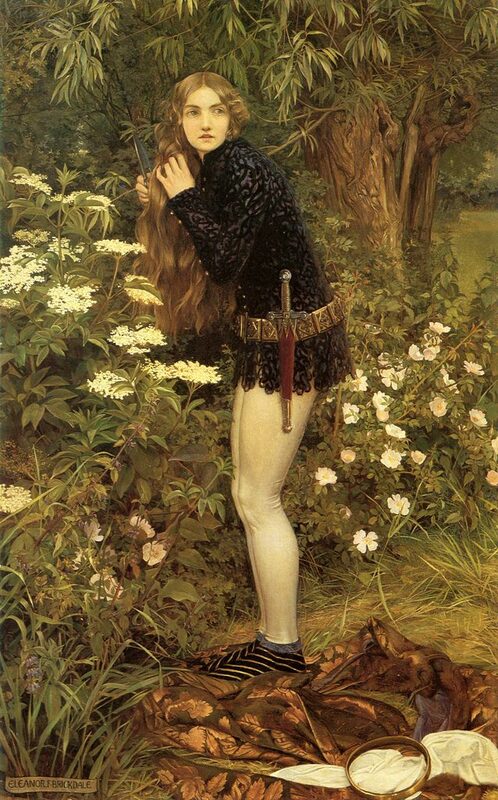 Pre-Raphaelite art is often derided as ‘kitschy’. While it has its many critics, I find it glorious. To go forward you have to understand where you have been. For womankind, I shudder when I see women who live blissfully unaware of the struggles their grandmothers endured. So many women longed to write, to create, to paint, to do anything other than what they were expected. Women who are long gone, but at one point in their lives wanted to achieve something only to come to the crushing realization that they could never have it simply because of their gender. Generations later we have to admit, sadly, there are people who live in ignorance of that pain. We exist in the reality TV generation and that’s fine, I can accept that. What I cannot accept is that we be only that. We can delight in the latest meme and hilarious viral videos, but let’s share history, art, and literature too. Let’s prompt each other to think. With so much information literally at our fingertips, we have unique opportunities every day to deepen our understanding of both ourselves and the world. I hope that in some way, this site contributes to that. 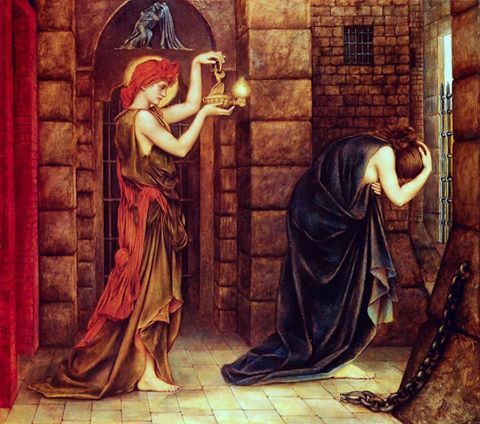 The Captives, Evelyn De Morgan. In situations where women are pitted against each other, it is images like The Captives we should use to inspire us. Here’s why. 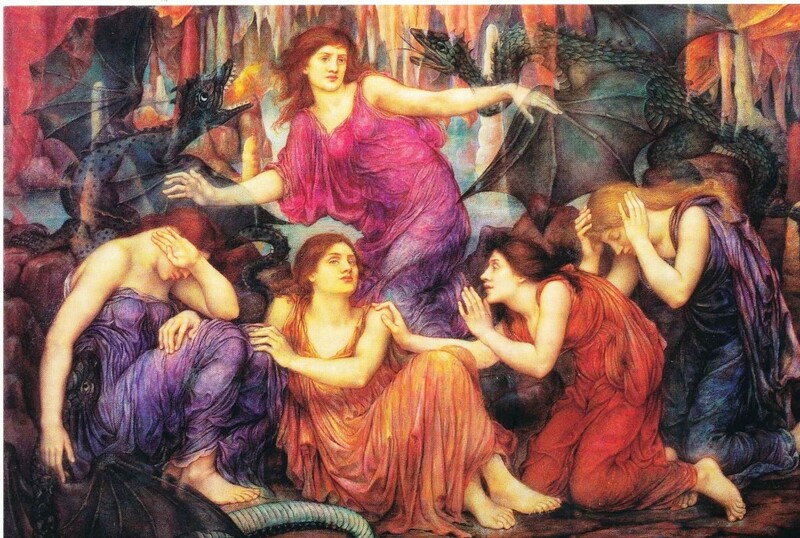 The women in the Pre-Raphaelite circle captivate me. 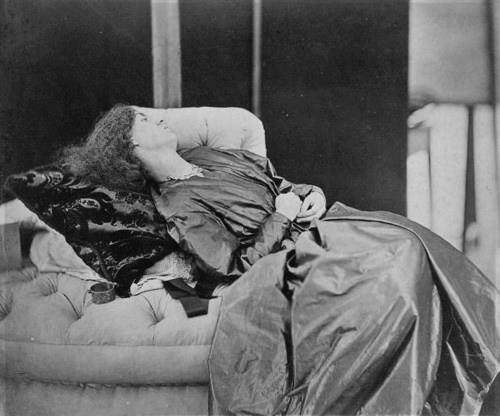 Often painted as goddesses and muses while clad in flowing Pre-Raphaelite gowns the images of these women came to personify an age–an age that future generations would look upon with scorn. In the past several decades there have been books, exhibitions, films, and television programs that indicate that perhaps the tide is turning. 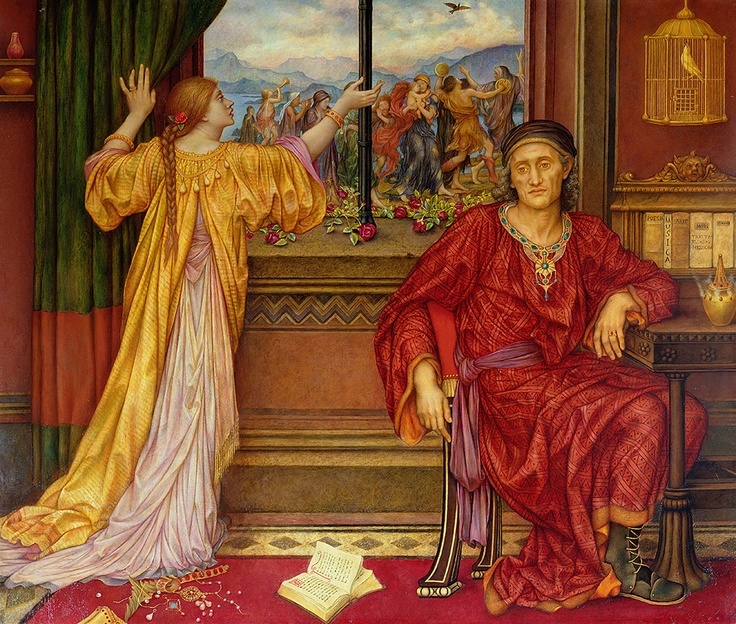 Based on my involvement in social media I see exuberant, passionate lovers of Pre-Raphaelite art who are genuinely interested in sharing and learning more. Those Pre-Raphaelite enthusiasts have always been there, but the internet makes the gaps that separate us smaller. The world wide web tears down walls, making artwork immediate and accessible. 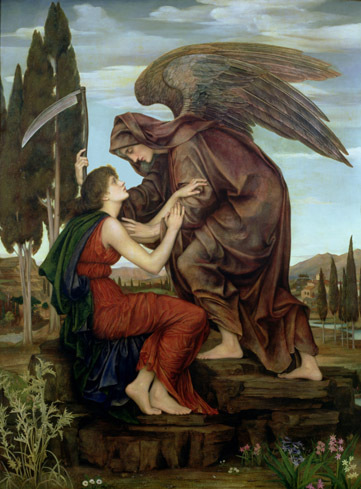 It is through that access that I have devoted twelve years to sharing Pre-Raphaelite art in an attempt to connect with my tribe, others who understand and see its beauty and relevance. 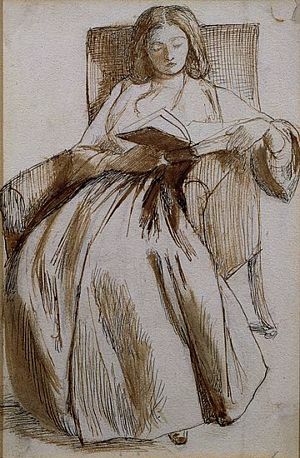 Jane Burden Morris photographed by John Robert Parsons, commissioned by Dante Gabriel Rossetti. In sharing Pre-Raphaelite art and my pursuit of it, I hope to inspire people who are drawn to it to look at it deeply, to learn about the artists, to understand their inspirations and their work. It’s important to see their work within the context of the time they lived in. 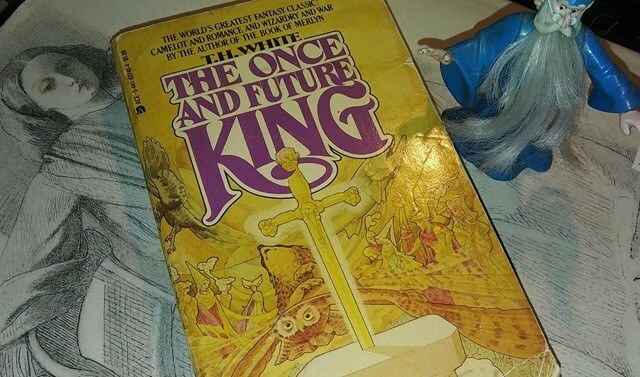 After that, though, it’s essential to see how its lasting influence fits into our own modern culture (and it does, darling, I find references everywhere). Hurray for this post! As one of the PreRaphaelite tribe myself, I completely concur! Thank you for putting this so well. Beautifully said, Stephanie! I discovered the PRB and the amazing women in their circle when I was in high school and I am a richer soul for having done so. Blog on says this member of your tribe! Because you can, and you do what you love! Keep up the good work! 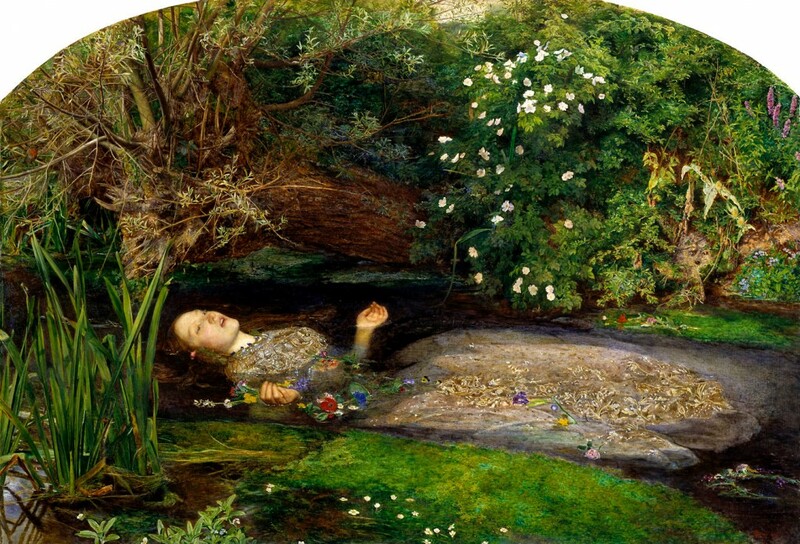 Very well said…Preraphaelity painting revives medieval aesthetical approach [ more free and therefore modern if you ask me]. It even seems to lead to art nouveau and art deco/so cherished till nowdays. It’s a poetic and philosophical art that explores through mythological terms not only the depth of the human emotionality but furthermore the human agony and painful reflection upon issues-life/love/death-that rise as long as we exist. Keep up with your very interesting work! Your blog is amazing and unfortunately not everybody can see the beauty and the power of the Pre- Raphaelite women and understand the story behind each painting and each woman from that era. There’ s a lot to learn from the past! This is really interesting. I actually think that the women of the PRB artists and their associates faced issues very similar to what women face today, although they had far fewer rights and powers under the laws of the time. Addiction, alcoholism, infidelity – the reality is that most women at some time or another have to confront these demons. We can learn a lot from these women. Their stories are valid, their stories are powerful, and their stories are worthy of being told. Lovely piece. What are humans without their stories? And the story of Pre-Raphaelite art still connects with people. Recently I was listening to Debussy on Youtube. I looked down at the comments and read “Classical music is a waste of time because it isn’t about real issues.” To me that seems a narrow-minded way to think. Yes, life can be tough, but wonderful art and music is part of the reason it’s worth the struggle. Love it! As a Pre-Raphaelite tribe member I thank you for this inspiring web. ‘my answer is, “Because I can.”’ – or ‘because I want to’ – is perhaps the best reason for doing anything. My Grandson asked me recently, why I draw his daddy playing guitar, and that was my answer to him. The world may have changed superficially in many ways, since Victorian times, but the ‘obstacle race’ is as real today as ever, for many women, and proberbly many men too I read a book on the Pre Raphealites at Emmaus a few winters ago, and whilst finding much of interest to me, was aware of a danger to me of some rather negative thinking? 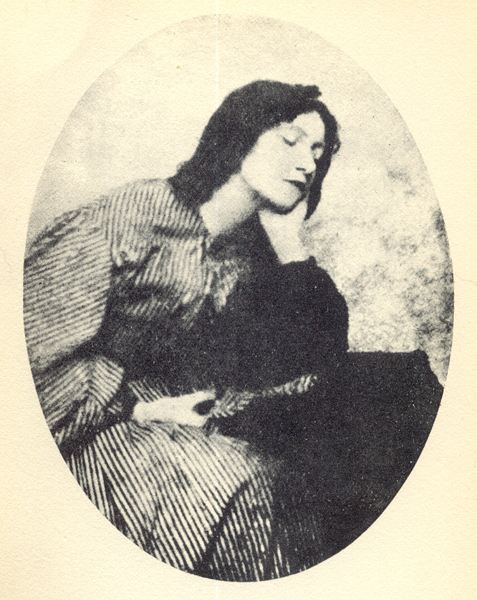 Rossetti exhuming his poems from the grave of Elizabeth Siddal, was it? There did seem to be a thread of tragedy woven in there. Enjoyed your blog about change immensely, and the morse clip. Thank -you! Absolutely right, the stories of the women reflected in Pre-Raphaelite paintings are still relevant, if only to show modern women how far or not we have come. I really enjoy and admire your writing Stephanie, your blog is right up my street ! I find combative criticism from some individuals regarding the history of marginalized groups disturbing, especially in a day and age when so many in power (or questing for it, at least) long to return us to a ‘simpler’ time. Firstly, as a woman, I also find Pre-Raphaelite paintings quite beautiful and powerful in their quiet, inward perspective. I know many third wave feminists are uncomfortable with stereotyped depictions of women as passive agents, however, these women actively engaged with their artists and achieved notoriety in a way that didn’t exist in the past. They were not hypersexualized, a problem which is still relevant in the 21st century. Change doesn’t happen overnight, and anyone seeking to change society will not be able to accomplish it without understanding the steps it took to reach that point. Women will only gain power when people see it within them. We still have a long way to go before we are seen as fully complete, autonomous individuals capable of shaping our own destiny and directing our personal will. As your blog states eloquently, we are all part of a sisterhood shaped by a multitude of experiences.